Apart from being devoted to providing information about Moldavite from the Czech Republic we sell quality museum grade stones, (including the Besednice ‘hedgehog’ when available) to healers and collectors. I also guarantee the authenticity of our Moldavites! I first learned about Moldavite when I read Eric Pearl’s book The Reconnection, Heal Others, Heal Yourself. I was reading Eric’s book because I have an interest in alternative healing, or ‘new age healing’ if you prefer My first purchases were reasonably inexpensive, a ring and a pendant, small pieces of wire wrapped Moldavite. This wonderful green crystal from the Czech Republic caught my imagination and so my hunt for good pieces and more information began. It wasn’t long before I was the proud owner of a Besednice hedgehog – these are about as special as you can get! The heat blast travelling in front of the meteor melted the silica in the ground and flung it high into the atmosphere and it landed back in the Czech Republic – 300 km away! I started to purchase more small pieces as the budget allowed from various websites and I also started emailing the people I was purchasing from getting more and more information as time went by. My collection isn’t large but I do love every piece – and I’ve become obsessive about my Moldavite, especially the ones from Besednice, holding and admiring them. They say some people resonate strongly with Moldavite – I guess I’m one of them. Moldavite is also a healing stone. I’m no expert with its uses but in my work I have found that if I ask a client to hold a piece of Moldavite prior to a healing session it seems to make things happen more quickly and results from the client’s point of view are very satisfactory. The vibration emitted from Moldavite is much stronger than other crystals and most people can feel something although it is different for everyone. Some feel heat, cold, buzzing or their heart beating in their hand. 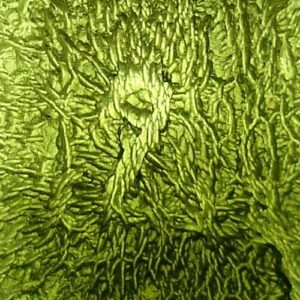 Moldavite is said to open the crown chakra, third-eye chakra and the heart chakra. Some healers also put a Moldavite on a meridian point to help open the energy flow. This is the only stone I use – and coming from a relatively ‘straight’ background I even astound myself sometimes that I have an interest in healing and these great little stones. Ain’t life grand?